December 4-10 is Computer Science Education Week. Introduce your students to computer science by getting them to participate in an Hour of Code. I’ve rounded up the best resources for lesson plans, activities, iOS and Android apps, robots, drones, and other affordable gadgets to make coding fun. Program droids and create your own Star Wars game. Code.org is THE resource for any educator interested in teaching their students about coding. From courses and curriculum to professional development and supporting diversity in computing, this site has everything you’ll need to get started. Find lesson plans sorted by grade level and subject area, along with teacher-guided tutorials to get students coding and having fun in no time. Access lessons and more, along with teacher’s notes at code.org/learn. Check out the complete How to Teach One Hour of Code guide, or download the Hour of Code Participation Guide. Frozen fans will love using code to move Anna and Elsa along the ice. Students can also code their way through a Minecraft world, guide Moana through the sea, or create their own Flappy Bird game. As a parent, I’m mindful that not all screen time is equal. My daughter loves the iPad’s entertainment value, while I view it as a powerful tool for learning. The Foos makes us both very happy. I see her problem-solving, sequencing, and creating loops; she thinks she’s just playing a game. 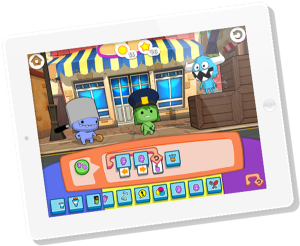 The makers of The Foos describes their game as “the most fun and kid-friendly way to learn about computer programming,” and I’d have to agree. 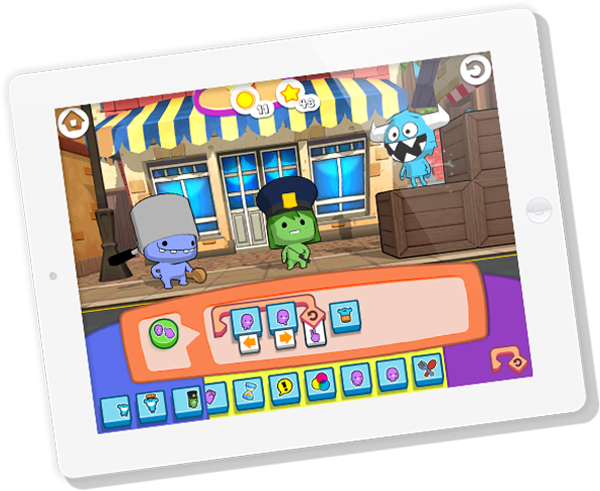 It’s designed for ages 5-10, and available for iOS, Android, and for the Kindle Fire. You can also play it with a web browser or by downloading it from the Mac App Store. Their Hour of Code Page provides students with the opportunity to earn and Hour of Code certificate, in addition to providing curriculum and a solutions guide for teachers. 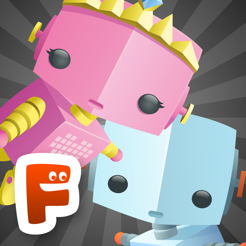 Lightbot is one of the first apps that my daughter started coding with. 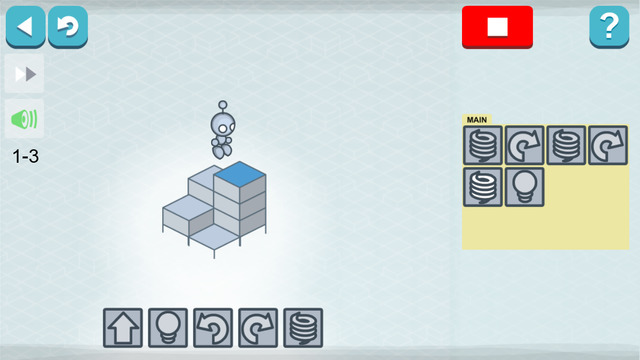 Students use drag and drop coding to maneuver the Lightbot through multiple game levels. 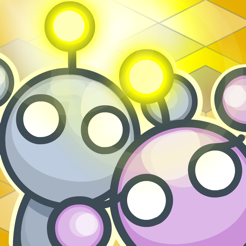 Beginning levels provide direct guidance, with each level getting progressively more difficult. Lightbot is currently priced at $2.99, but they have created free Hour of Code versions for iOS, Android, and Online (Flash, in-browser). The paid version is available in two different versions. Junior Coding Puzzles for ages 4-8 are available on iOS, Android, and Kindle. 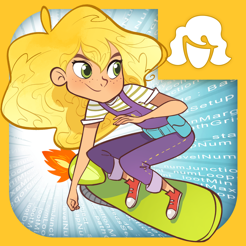 Programming Puzzles for ages 9+ are available on iOS, Android, Kindle , Windows, and Mac. Lesson plans, printable command icons, and Hour of Code resources are available on the Teacher Resources. I’ve been using Scratch with my high school students for years. It’s a browser-based, drag and drop programming platform for creating games, interactive art, stories, and simulations. My Environmental Science students have used it to create food web games, and natural selection simulations. Get started with one of their tutorials, or explore their online community for Educators ScratchEd. 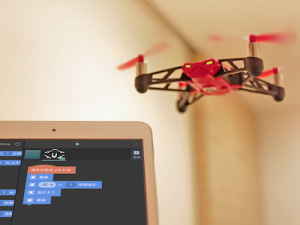 I can’t think of a way to make coding more exciting than to use it to control robots and drones. Tickle is an iOS app that allows students to use drag and drop coding to control a number of different robots and drones. Sphero and the Rolling Spider are two of my favorites. No robots? No Problem. Tickle can also be used to program iPhone games. Check out the Swimming Orca game on their Hour of Code Page. I featured Sphero as one of my 5 Awesome Tech Gadgets for Teachers and Students last year. The rolling robot is so much fun to program that students will forget they are learning. Challenge students by creating a maze or obstacle course to program the robot though. They also have a BB-8 model for all the Star Wars fans out there. The only thing cooler than programming a robot is programming a robot that can fly. Check out the video below that shows the fun I had programming the Parrot Minidrones Rolling Spider at the 2015 Apple Distinguished Educators Institute. It was so much fun that we didn’t want to put it down. Ozobots are tiny robots that anyone can code. Students use markers to write code on a sheet of paper. The Ozobot follows colored lines and is receives commands by recognizing changes in color and color combinations on the page. 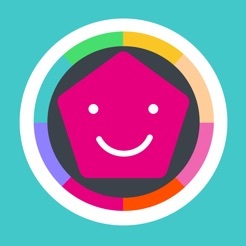 It can also be programmed with drag and drop coding using the app. You don’t have to break the bank to program robots, you can get started with Ozobot for right around $50. 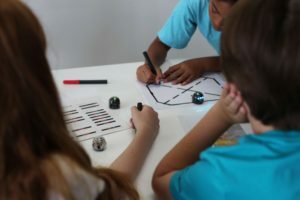 Ozobot Education Page – Class Kits, Lesson Plans, Contests, and more. Let students make video games by arranging colored blocks on a grid. 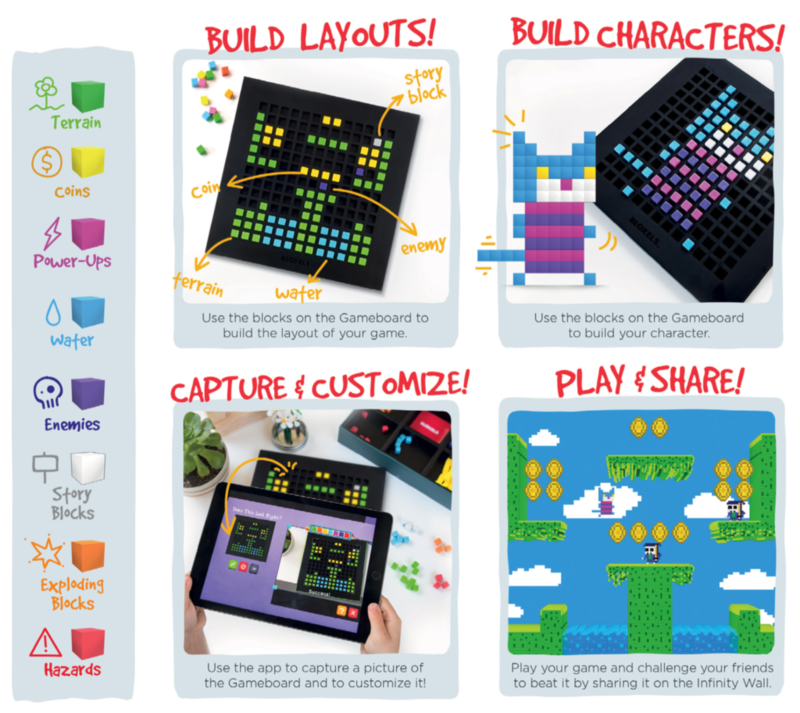 Students arrange the blocks to create characters and game layouts, then take a picture with the Bloxels app to make their games comet to life. It’s easy, engaging, and affordable. Apple is offering free, one-hour introduction to computer programming workshops in their stores for students age 6 and up. Find the schedule for your local apple store and register here. Apple’s Everyone Can Code page is a great resource for teaching and learning code using Swift Playgrounds. 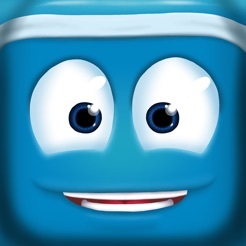 Swift Playgrounds is an iPad app that teaches students coding basics with interactive puzzles. Advanced users can code their own programs. 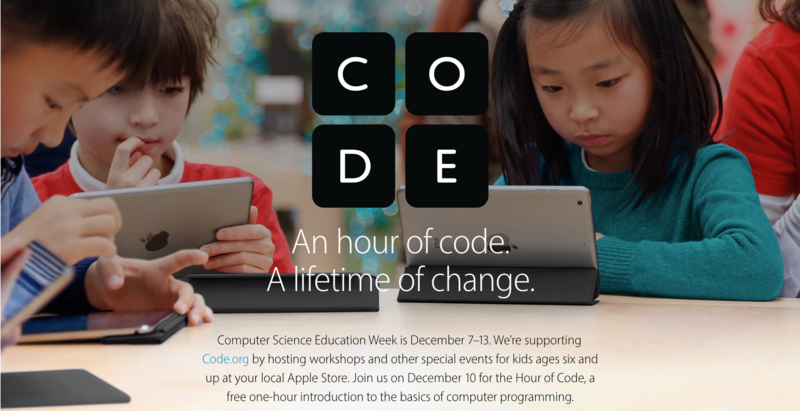 You’ll also want to check out their Hour of Code Facilitator Guide, iTunes U Course, and iBook. You can view all Everyone Can Code Resources in iTunes here. I’ve also compiled their featured apps below.